Last week we were part of a webinar where we worked with both Engineering.com and CIMdata PLM expert James White to look how companies can leverage best of breed software with cloud PLM. This is the final installment of a two-part series summarizing that discussion. 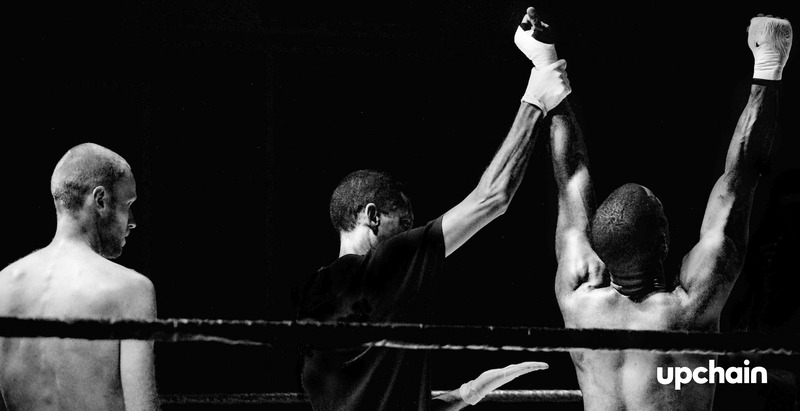 Last week, we looked at what James White, Strategy Practice Director at CIMdata, had to say about the challenges facing complex manufacturers and how cloud PLM might be the best solution to connect best of breed software (check out the post right here). Today, we’re going to look at the back half of the webinar: what our CEO John Laslavic has to say about how cloud PLM and Upchain can help connect best of breed software organizations want to use. The age-old debate: best of breed or suite solutions? According to the Aberdeen Group, it’s unlikely that a single vendor will be the best software solution for all your software products. There’s never going to be a true jack of all trades. Which leaves organizations with a choice: go with a software suite, and sacrifice quality for a homogenous internal IT landscape, or buy true best of breed solution and sort out integration later. One of the oldest debates and IT is but to use best of breed or to deploy single vendor suite solutions. John argued that best of breed solutions can help organizations in complex manufacturing. When people use the software they know, they spend less time doing admin tasks. For instance, an engineering.com research report found that 8.9 hours get wasted every week by design engineers doing admin stuff like looking for the right file or sharing access with people who don’t have it to the software they’re using. Suite solutions (especially on-premise ones) usually operate on a single/perpetual licensing model. This means that organizations buy software at a set version… and that’s it. To upgrade, they have to buy all new licenses — a project that might cost $10 million and is a gargantuan pain. Cloud-based best of breed software is constantly being updated and those updates pushed live without disrupting the work or financial flows of the client. You can implement software that already exists on the cloud and you don’t have to implement new software every three or four years like is typically done with a suite software approach. Large enterprise suite solutions are expensive. You have to spend a lot of time and money redesigning business processes and ways of doing things to suit your software suite. In contrast, cloud-based best of breed software is extremely cost-effective to both deploy and run because of low-cost multi-tenant hosting, non-existent hardware costs, and SaaS business models that spread IT costs over time. Best of breed software is modular by default since you’re combining multiple different software solutions to integrate together. This means you can tailor your software to your needs, rather than hoping one size fits all. 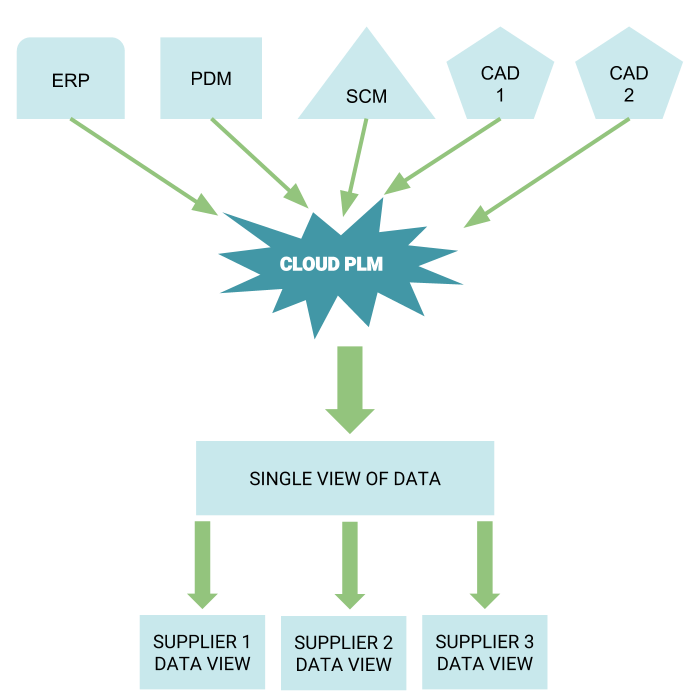 Cloud PLM in a SaaS, multi-tenant structure is the key to enabling best of breed software. First, you don’t have to engage with any hardware implementation. All your hardware functionality comes from cloud database providers like AWS. Second, it means that you don’t have to rip and replace existing legacy systems or install PLM on local machines. And finally, cloud PLM works a bit like an overlay. It lets you keep your data where it currently lives but allows the same data can be viewed and accessed from lots of different places. You can log into a website and get all your of your data within the applications that you currently use. So now, businesses can keep their existing SCM, ERP, PDM, and CAD systems in place, keep those data repositories separate, and still offer a single shared view of it in a coordinated, version controlled way. Real value from best of breed solutions doesn’t come from integrating internally. It comes from different suppliers and customers all working together with shared version of product data. Cloud PLM makes this happens in two ways. Because cloud PLM doesn’t live on a local server, anyone can access the software via their web browser from anywhere in the world. This means that associations can work with suppliers globally without inhibiting collaboration. With our cloud PLM, users can set permissions on data and views. This means suppliers can access the projects they’re working on with transparent access to data they need to do their jobs but without compromising security. Essentially, it’s a “view only” version of project data — they can see, but they can’t touch. This attitude towards best of breed software isn’t without its critics. John addressed the most common concerns he’s run into when it comes to deploying best of breed software on the cloud. IT people are very concerned of protecting the IP, especially CAD, which is the heart of your company. For the 60% of enterprises who move to the cloud, they will experience 30% fewer security failures. The fear is that users will be forced to upgrade their software. But in reality, they won’t. Why? Because cloud PLM is an evergreen solution. Micro-releases are being pushed all the time so the product (and your understanding of it) evolves over time. We deploy software on a monthly basis, evolving the product with you instead of doing revolutionary new upgrades. The whole idea of a “forced upgrade” is a misnomer, since upgrades simply don’t happen. This is the crux of best of breed software and cloud PLM. The concern is that the solution won’t integrate with existing solutions, and either a rip and replace mentality will set in, or users will find workarounds to the PLM workflow. 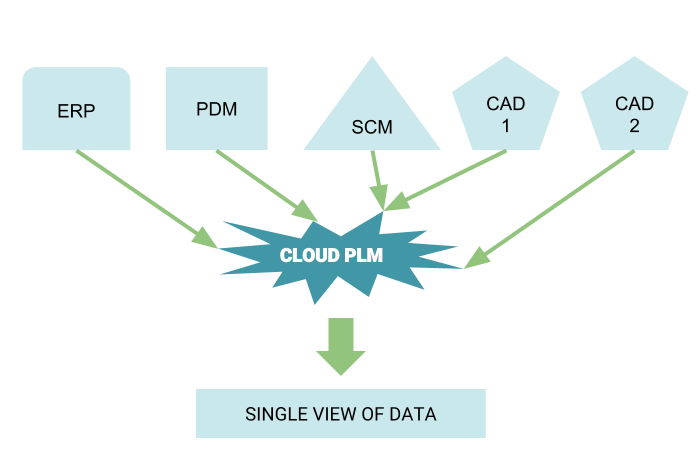 If you can’t integrate to all of your systems [with your cloud PLM] it becomes another silo of data that’s on the cloud that you cannot leverage. What’s more, the whole point of best of breed is that your software works with the nuances of your organization. Cloud PLM makes this happen by layering over existing solutions and connecting your existing way of working rather than requiring you to redesign your business processes (an expensive proposition). Cloud PLM and best of breed software solutions are focused on the same thing: taking product data and getting it where it needs to go in a fast, secure, and flexible way. Suite solutions require business process reengineering to shoehorn ways of working into the software. That’s why at Upchain, we think that best of breed solutions and cloud PLM are the only way to go. With a splintered supplier network and and complex product, our goal is to make product data more accessible for everyone, and connect the entire value chain. Get the whole recording now.